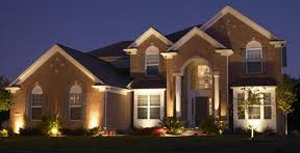 Gain complete control over your home's lighting and set the perfect atmosphere for any occassion. You're a slave to your home. Every day you turn lights on and off all throughout your home. In any room you enter and leave it's a never ending process of on and off. Think of all the lights and other devices that includes, or should I say ons and offs. It even varies by the time of day as well. It takes you continous vigilance to manage all of those switches and make sure they are all in their proper state. 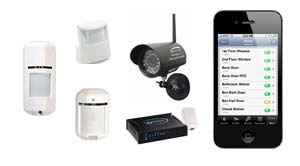 Protect your home better by automating some of the lighting inside and outside of your home. Never worry about turning on or off your outside lighting again! Automate lights to come on based on room lighting levels, time of day, or even motion. And even if you forgot to turn on that light or dim it, you don't have to get up. With our friendly mobile applications and easy to use remote controls, it's just a finger press away. So consider reducing your costs, improving your safety, security and lifestyle in your home with lighting controls from EZ-Integration. 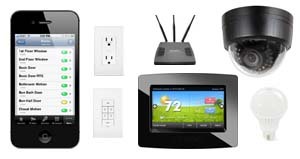 Our controls can integrate all electronic devices, applicanes and items in your home into one simple to monitor and control system. Know what is going on in your home and take control of all your home's lights, appliances and electrical devices. Remotely monitor and manage your home today!